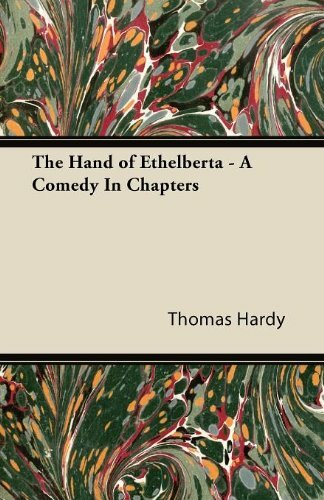 The hand of Ethelberta;: a comedy in chapters. She was the daughter of a gentleman who lived in a large house not his own, and began life as a baby christened Ethelberta after an infant of title who does not come into the story at all, having merely furnished Ethelberta's mother with a subject of contemplation. She became teacher in a school, was praised by examiners, admired by gentlemen, not admired by gentlewomen, was touched up with accomplishments by masters who were coaxed into painstaking by her many graces, and, entering a mansion as governess to the daughter thereof, was stealthily married by the son. He, a minor like herself, died from a chill caught during the wedding tour, and a few weeks later was followed into the grave by Sir Ralph Petherwin, his unforgiving father, who had bequeathed his wealth to his wife absolutely.